Thank you to all our sponsors, participants, and volunteers for the 2016 Wolf River Raft Race! Without you, we could not have made this event a success. Click on picture for full size view. 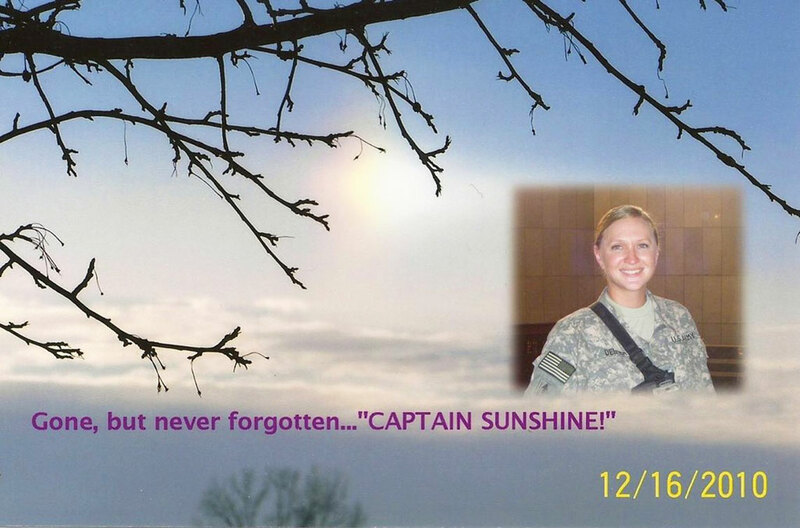 On December 12, 2010, Kari Deimer passed away at the age of 31 after a short and intense battle with Cholangiocarcinoma (Bile Duct Cancer). Before her symptoms began during summer and her October diagnosis, Kari led a vibrant and full life, embracing every opportunity to connect with her family and friends and serve others. employed as a graphic designer for Community First Credit Union. Kari’s cancer was rare and aggressive and while it weakened her body, her spirit remained positive throughout her treatment. This event is a tribute to Kari’s fun and fighting spirit, to raise funds to benefit the important work of the American Cancer Society in Kari’s memory. The Kari Deimer Answer to Cancer Corp. is a 501(c)3. Participants embark from Damn Yankees for the 11.5 mile race to the finish. 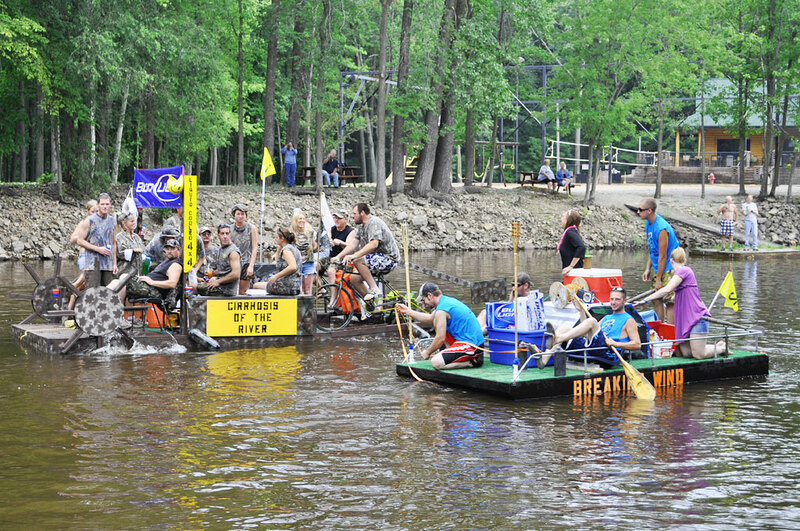 The Wolf River Raft Race is a cancer research benefit held at New London, WI each year. The 2016 race began up river at Damn Yankees where kayaks and canoes launched at 9:30am. Everyone else started at Volz's Landing in New London at 10:30am. The first contestants reached the finish at The Water Supper Club & Lounge in New London just before noon. Thank you to the public for spectating and participating in the festivities. 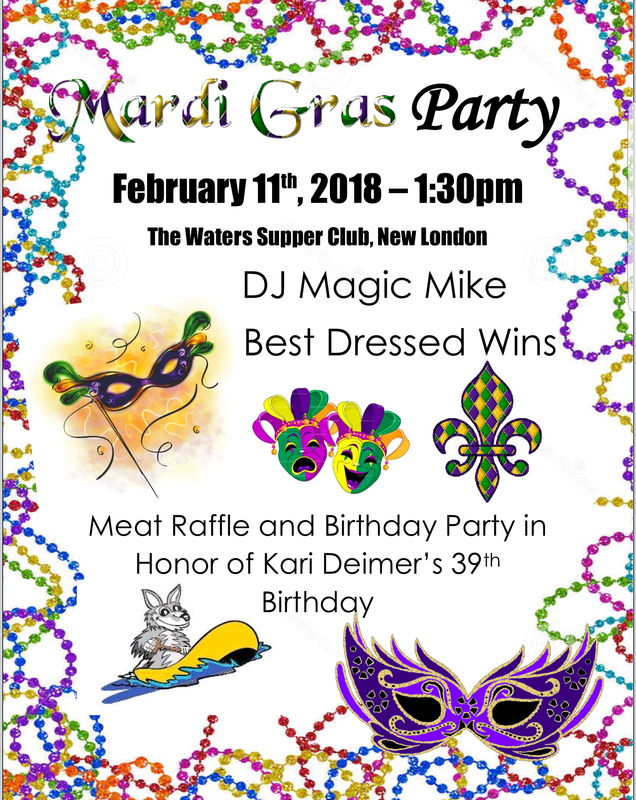 At noon the festivities began at The Water Supper Club & Lounge in New London. There were games, food, a raffle, basket drawings, and t-shirts for sale. Spectators watched contestants arrive at the finish line throughout the afternoon. Visit the news page for the latest raft race updates, or get raft race merchandise. Lodging, kayak & canoe rentals, and area interests are listed on the links page. who made this event possible!